Background/aim: There have been conflicting results in the literature regarding the relationship between functional system involvement, the expanded disability status scale (EDSS), and the presence of restless legs syndrome (RLS) in patients with multiple sclerosis (MS). Materials and methods: Ninety-one patients with MS and 40 patients in a control group (headache, essential tremor, and benign positional paroxysmal vertigo) were studied. The patients underwent a complete neurological examination and Kurtzke functional system scores were calculated. In order to assess the temporal relation between the onset of RLS and MS, a semistructured interview guided by a questionnaire about RLS was applied to all of the patients. Results: Sixteen (17.6%) of the patients with MS and 1 (2.5%) patient in the control group had RLS. The prevalence of RLS was higher in patients with MS, compared to the control group (P = 0.018). Among the patients with MS, none of them suffered from RLS before the onset of MS, whereas sixteen patients (16%) suffered RLS after the onset of MS. There was no significant relationship between functional system involvement and the presence of RLS. Conclusion: The prevalence of RLS was higher in MS patients than it was in the control group. No association was found between RLS and functional system involvement in MS patients. Earley CJ. Restless legs syndrome. N Engl J Med 2003; 348: 2103–2109. Clemens S, Rye D, Hochmen S. Restless legs syndrome: revisiting the dopamine hypothesis from the spinal cord perspective. Neurology 2006; 67: 125–130. Brown LK, Heffner JE, Obbens EA. Transverse myelitis associated with restless legs syndrome and periodic movements of sleep responsive to an oral dopaminergic agent but not to intrathecal baclofen. Sleep 2000; 23: 591– 594. 4. Soyoral Y, Sayarlıoğlu H, Tuncel D, Şahin M, Doğan E, Erkoç R. Prevalence and risk factors of restless leg syndrome in a single hemodialysis unit. Turk J Med Sci 2010; 40: 443–446. Allen R. Dopamine and iron in pathophysiology of restless legs syndrome (RLS). Sleep Med 2004; 5: 385–391. Turjanski N, Lees AJ, Brooks DJ. Striatal dopaminergic function in restless legs syndrome: 18F-dopa and 11C-raclopride PET studies. Neurology 1999; 52: 932–937. Ruottinen HM, Partinen M, Hublin C, Bergman J, Haaparanta M, Solin O, Rinne JO. An FDOPA PET study in patients with periodic limb movement disorder and restless legs syndrome. Neurology 2000; 54: 502–504. Trenkwalder C, Walters AS, Hening WA, Chokroverty S, Antonini A, Dhawan V, Eidelberg D. Positron emission tomographic studies in restless legs syndrome. Mov Disord 1999; 14: 141–145. Cervenka S, Palhagen SE, Comley RA, Panagiotidis G, Cselenyi Z, Matthews JC, Lai RY, Halldin C, Farde L. Support for dopaminergic hypoactivity in restless legs syndrome: a PET study on D2-receptor binding. Brain 2006; 129: 2017–2028. Cirignotta F, Zucconi M, Mondini S. Epidemiologic data on sleep disorders. Presented at the 6th European Congress on Sleep Research. Zurich, Switzerland. 1982. Strang P. The symptom of restless legs. Med J 1967; 1: 1211– 1213. Lavigne GJ, Montplaisir JY. Restless legs syndrome and sleep bruxism: prevalence and association among Canadians. Sleep 1994; 17: 739–743. Phillips B, Young T, Finn L, Asher K, Hening WA, Purvis C. Epidemiology of restless legs symptoms in adults. Arch Internal Med 2000; 160: 2137–2141. National Sleep Foundation. Omnibus Sleep in America Poll. Washington DC, USA: National Sleep Foundation; 2000. Rothdach AJ, Trenkwalder C, Haberstock J, Keil U, Berger K. Prevalence and risk factors of RLS in an elderly population: the MEMO study. Memory and morbidity in Augsburg elderly. Neurology 2000; 54: 1064 – 1068. Sevim S, Dogu O, Camdeviren H, Bugdayci R, Sasmaz T, Kaleagasi H, Aral M, Helvaci I. Unexpectedly low prevalence and unusual characteristics of RLS in Mersin, Turkey. Neurology 2003; 61: 1562–1569. Auger C, Montplaisir J, Duquette P. Increased frequency of restless legs syndrome in a French-Canadian population with multiple sclerosis. Neurology 2005; 65: 1652–1653. Manconi M, Fabbrini M. High prevalence of restless legs syndrome in multiple sclerosis. Eur J Neurol 2007; 14: 534– 539. Manconi M, Ferini-Strambi L. Multicenter case-control study on restless legs syndrome in multiple sclerosis: the REMS study. Sleep 2008; 31: 944–952. Moreira NCV, Damasceno RS, Medeiros CAM. Restless legs syndrome, sleep quality and fatigue in multiple sclerosis patients. Braz J Med Biol Res 2008; 41: 932–937. Douay X, Waucquier N, Hautecoeur P, Vermersch P. High prevalence of restless legs syndrome in multiple sclerosis. Rev Neurol 2009; 165: 194–196. Gómez-Choco M.J, Iranzo A, Blanco Y. Prevalence of restless legs syndrome and REM sleep behavior disorder in multiple sclerosis. Mult Scler 2007; 13: 805–808. Deriu M, Giovanni C, Molari A, Murgia D, Mereu A, Ferrigno P, Manca D, Contu P, Melis M. Restless legs syndrome in multiple sclerosis: a case-control study. Mov Disord 2009; 24: 697–701. Fragoso YD, Finkelsztejn A, Gomes S, Kaimen-Maciel DR, Oliveira CLS, Lopes J, Rafael A, Cristovam RA. Restless legs syndrome and multiple sclerosis: a Brazilian multicenter study and meta-analysis of the literature. Arq Neuropsiquiatr 2011; 69: 180–183. Aydar G, Kurt S, Karaer Unaldi H, Erkorkmaz U. Restless legs syndrome in multiple sclerosis. Eur Neurol 2011; 65: 302–306. Liu Y, Munger KL, Batool-Anwar S, De Vito K, Ascherio A, Gao X. Association of multiple sclerosis with restless legs syndrome and other sleep disorders in women. Neurology 2012; 78: 1500–1506. Miri S, Rohani M, Sahraian MA, Zamani B, Shahidi GA, Sabet A, Moradi-Lakeh M, Bodaghabadi M. Restless legs syndrome in Iranian patients with multiple sclerosis. Neurol Sci 2013; 34: 1105–1108. Yilmaz NH, Akbostanci MC, Oto A, Aykac O. Prevalence of restless legs syndrome in Ankara, Turkey: an analysis of diagnostic criteria and awareness. Acta Neurol Belg 2013; 113: 247–251. Vávrová J, Kemlink D, Sonka K, Havrdová E, Horáková D, Pardini B, Müller - Myhsok B, Winkelmann J. Restless legs syndrome in Czech patients with multiple sclerosis: an epidemiological and genetic study. Sleep Med 2012; 13: 848–851. Shaygannejad V, Ardestani PE, Ghasemi M, Meamar R. Restless legs syndrome in Iranian multiple sclerosis patients: a case-control study. Int J Prev Med 2013; 4: 189– 193. Manconi M, Rocca MA, Ferini-Strambi L, Tortorella P, Agosta F, Comi G, Flippi M. Restless legs syndrome is a common finding in multiple sclerosis and correlates with cord damage. Mult Scler 2008; 14: 86–93. Kurtzke JF. Rating neurological impairment in multiple sclerosis: an expanded disability status scale (EDSS). Neurology 1983; 33: 1444–1452. Earley CJ, Allen RP, Connor JR, Ferrucci L, Troncoso J. The dopaminergic neurons of the A11 system in RLS autopsy brains appear normal. Sleep Med 2009; 10: 1155–1157. ISNAD SORGUN, MİNE HAYRİYE , AKSUN, ZERİN , ATALAY, YAHYA BURAK , YÜCESAN, CANAN . "Restless legs syndrome in multiple sclerosis". 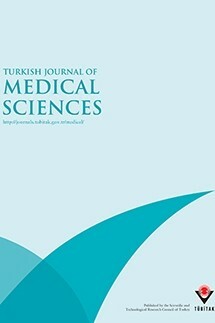 Turkish Journal of Medical Sciences 45 / 6 (December 2015): 1268-1273.